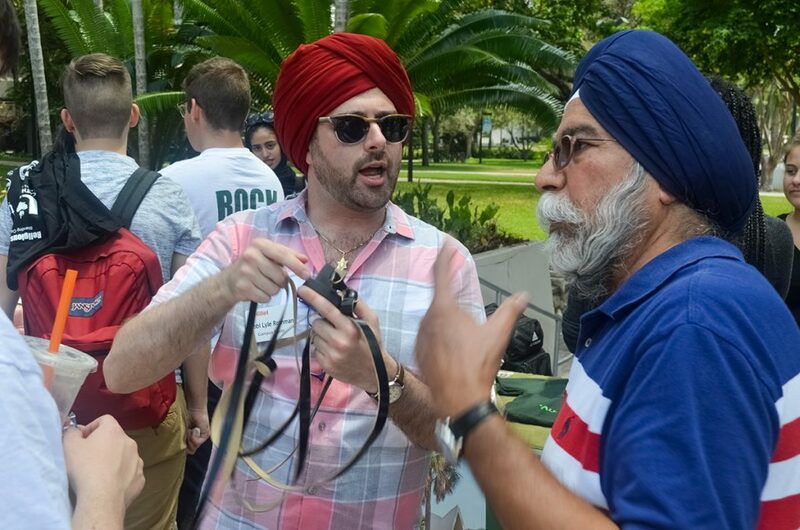 Off the cusp of Easter and Passover, the University of Miami hosted its first Religion Awareness Day in an effort to open dialogue among students practicing different religions. For Nidhi Patel, co-chair of the Standing Committee for Diversity, Equity and Inclusion, Religion Awareness Day is the hopeful start of more interfaith dialogue. Patel has been working on interfaith dialogue since high school after being inspired by a man at her temple, who also worked to build community between religions. After he passed away, she was determined to bring the conversation to the undergraduate community. Patel, alongside committee co-chair Megan Lipsky, has been planning the event since last year. The event was a student initiative that came out of the standing committee created in summer 2016. “Spirituality sometimes gets a little bit of a back seat to all other things that we’re doing, so we have a very active chaplains association, and there’s a lot of diversity here at the university and it’s great to showcase that,” said Patricia Whitely, vice president for Student Affairs. Representatives for nine different faiths came together at the Rock to educate UM community members about their religions with the intention of debunking any misconceptions placed on their respective beliefs. St. Bede’s, the campus Episcopal church on Stanford Drive, had a basket full of Easter eggs, filled with slips of paper with common questions about being Episcopalian. The Hindu Student Council debunked myths about the religion. The Muslim Students of UM (MSUM) had Ask-a-Muslim, during which students were able to ask Muslim students about their faith, similar to an event they hosted during Islam Awareness Week. The Sikh Student Group also attended, though not an official COSO-registered student organization. Several Sikh students banded together to host a turban tying event. Rabbi Lyle Rothman from Hillel attended the event and said he noted how little each religion knew about the others. Though Patel will be graduating this spring, she said she hopes for the eventual creation of a student-run Interfaith Council, which would promote cooperation among different faiths and religious groups. She and Lipsky have spoken about holding events like a Fast-A-Thon, using the common faith tradition of fasting to raise money for a charity. For Rothman, Religion Awareness Day is hopefully the beginning of many more opportunities for different faiths and traditions on campus to unite. “To not just share about our particular faith traditions but to be able to learn together, laugh together, eat together and ultimately to grow together to help heal this fractured world that we live in,” Rothman said.